So my “Iron Man” day last Friday was full of fail. First of all, the other blog posts I had scheduled for that day didn’t go live. Second, I forgot to bring my Cineworld Unlimited pass with me to the cinema and ended up having to pay for the ticket. Idiot me. Despite that though, Iron Man 3 was awesome! 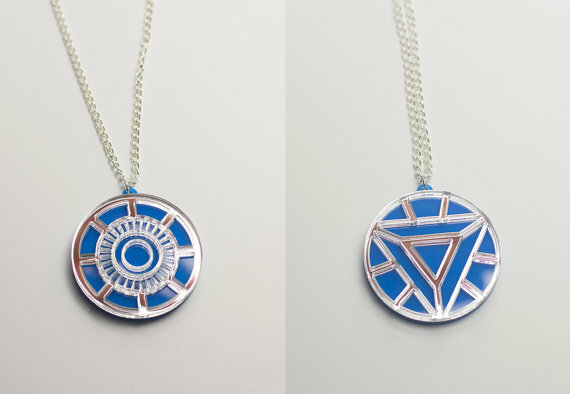 So today’s Me Wantz is obviously still Iron Man related: an Iron Man Arc Reactor pendant from etsy store LootStash. Awesome, right? On the one side is the Mark I reactor, on the other the Mark IV/V.